Celebrate the Fourth of July with a Bang! 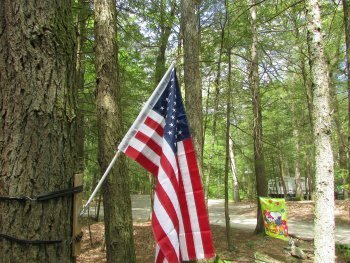 If you were looking to get away for the long Fourth of July holiday week, then come and join us in celebrating at Rip Van Winkle Campgrounds! Everyone loves some good, old-fashioned, outdoor camping fun, especially during these warm summer months. So, what better way to celebrate this holiday than by sleeping under the stars with your friends and family? Take a break from your day-to-day schedule and treat yourself to some fun and relaxation this holiday. At Rip Van Winkle Campgrounds, we have several Fun Zones for you and the family to enjoy. Ring in Independence Day in style by enjoying our fun water activities including trout and bass fishing, pedal boating and swimming. And don't forget - Saugerties hosts the Annual Independence Day Parade, Car Show and other fun holiday events (including fireworks!) at Cantine Field. There are so many reasons to come camping this Fourth of July. The weather will be beautiful, there are parades, festivals and events worth attending, picnics, music, parties...and hey - it is a holiday after all. Isn't that enough of a reason to take a much-needed vacation? It's not too late to book your next trip. Click here to make your reservation now or call us at 1 (888) 720-1232 for more information. We hope to see you soon!